The ComCenter Outdoor is a feature rich data and voice unit for the Iridium network that saves time and money in materials and installation. No need to run multiple cables for voice or data. This all-in-one all weather unit only requires one cable, so you are up and running in no time. Voice & Data – The ComCenter Outdoor is a feature rich voice and data unit for accessing the Iridium network indoors. 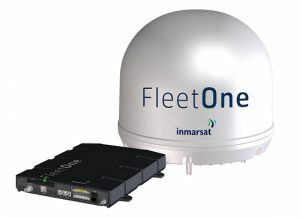 From pole-to-pole, stay connected via satellite by phone, e-mail, or Internet. Scalable data transfer speeds available. Users can also send SMS text messages. Simple Installation – No need to run multiple cables for voice or data. Only one is needed with the ComCenter Outdoor. Massive savings up to 400 feet of one power and communications cord without amplifiers, active antennas or repeaters. Custom Connection – With a 1 foot adapter cable, the ComCenter Outdoor will convert a custom connection to any RJ11 phone or RJ45 Ethernet interface that can be used with a standard junction box. Extender cables will be available in 10, 20, 50, and 100 foot lengths. IP based CAT5 interface. User Interface – Throughout the GUI interface you can assign and manage users to make calls and connect to the internet and e-mail. Access to usage reports and configuration, view Iridium signal strength, and connection status. Simplified operation, trouble shoot setup. Gaskets & Connectors – The gaskets make the ComCenter Outdoor a true all weather unit. Water tight and weather resistant, the unit will withstand the sun and rain elements. Internals & Power – The ComCenter Outdoor is an all-in-one unit. Internal components are housed in the white antenna case, so no extra box or case is needed below. 10-32 VDC Input range supports power systems on most vehicles and vessels. World-Wide Coverage – The Iridium Satellite System is the only provider of truly global, truly mobile satellite voice and data solutions with complete coverage of the Earth. Through a constellation of 66 low-earth orbiting (LEO) satellites, Iridium delivers essential communications services to and from remote areas where terrestrial communications are not available. Employee/Crew Calling – Log can be configured for preassigned 7-digit calling ID required to activate call. With ‘Smart Dialing’, the ComCenter Outdoor knows the correct country code format and places the call once the number is entered.